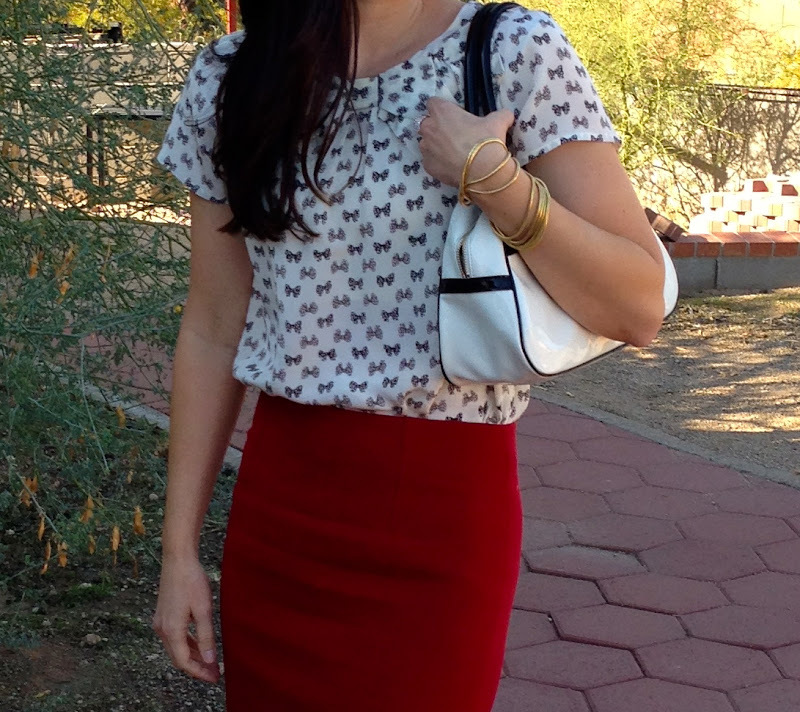 I love a feminine, classy outfit. I found this bow blouse at JCrew. 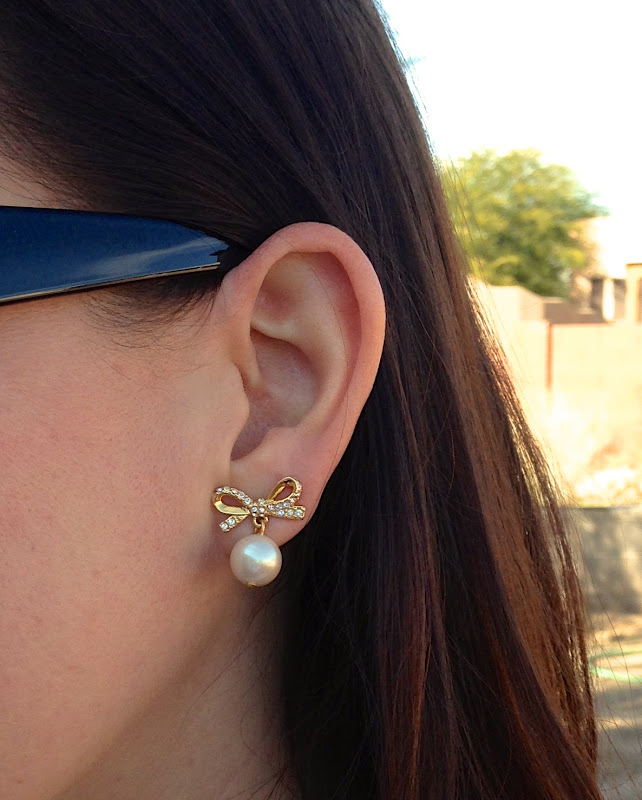 I couldn't resist pairing it with bow pearl earrings and a Kate Spade handbag (with a bow). 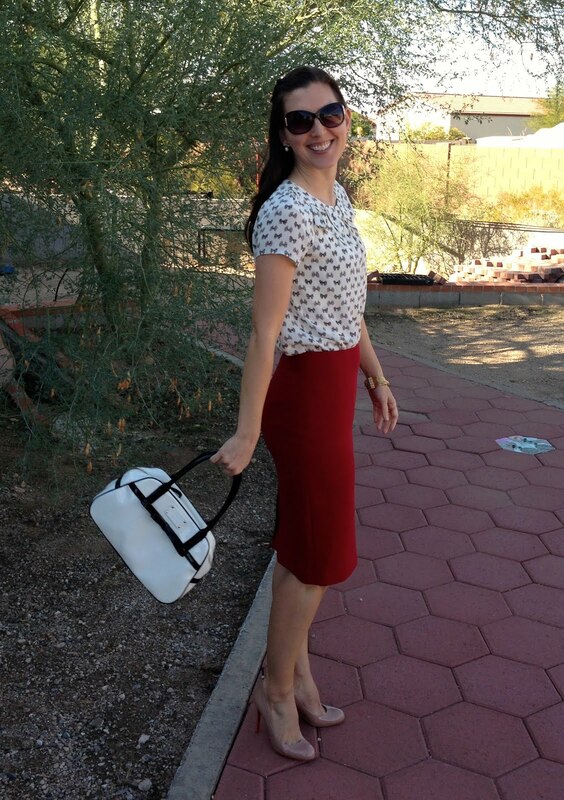 Since the blouse is full, I matched it with this red pencil skirt from Ann Taylor. It is Christmas time after all. Merry Christmas everyone! happy new year Linda! you look fabulous!